LPCover Lover | A pot party! 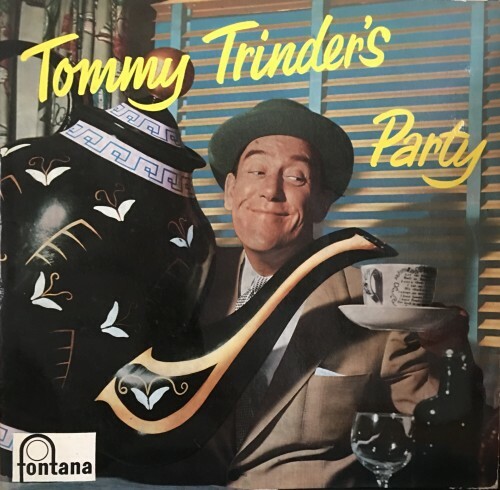 Tommy Trinder’s Party Fontana Records (England) Recorded in the Jolly Roger Bar, Gutlin’s Holiday Camp, Clacton-on-Sea 1959. This record is intended for you and your party so that you can join in. It’s a party with a record and not just a record of a party. Britain’s funniest man – the most loveable personality in show business and our greatest comedian – drops in to entertain you with his inimitable humour and dazzling repartee. Tommy thoroughly enjoys himself, as you can tell from the hilarious results. He sat behind me at a performance at Blackpool Tower Circus in the early sixties. The end of the performance involved the ring flooding (as it did every year) and the entrance of glowing spacemen – all bathed in black light. I was was petrified and crying with terror. Tommy helped comfort me.